Teacher Resources > Monday Morning Ready > Are we living in the Plastic Age? 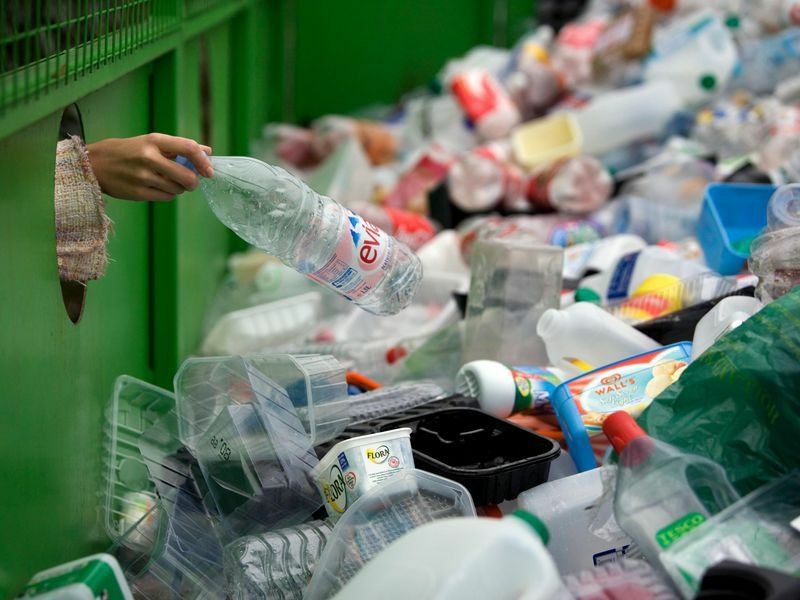 Do you think more people would recycle plastic if they knew how it was harming the environment? Why or why not? According to the article, most plastics don't easily degrade. But that must mean that some types of plastic do. So why do you think people continue to make the types of plastic that don't easily degrade? What do you picture when you think of the Stone Age, Bronze Age or Iron Age? What do you think people hundreds of years from now will picture if the current period of time is called the Plastic Age? If you were voting, which material would you name the current period of time after: nuclear fallout, aluminum, concrete, silicon or plastic? Why? What would you do if you saw your local river burning? Gaylord Nelson, a former governor and U.S. Senator from Wisconsin, started Earth Day. Read this blog from the National Museum of American History to learn more about his story and how you can contribute in the future. Launched in 2017, the Smithsonian’s Earth Optimism Summit is a forum where the best minds can discuss the boldest experiments and most innovative community practices about how to conserve biodiversity, protect natural resources and address climate change. Videos from the 2017 summit are posted online. The online edX.org course for #EarthOptimism2018 will be available beginning April 16. Smithsonian Earth is a digital streaming service with original documentaries that bring you closer to nature’s most fascinating animals and wildest locations. For a limited time, you can unlock and watch episodes from some of our most popular series without a subscription. Try it for free, and explore our planet like never before. Use this multimedia website from the National Museum of the American Indian to teach students about the cultural, economic and scientific motivations behind environmental preservation in four American Indian communities. The site includes lesson plans appropriate for students in grades 6-9. Invite students to take on an environmental project with these lessons from the Smithsonian Center for Learning and Digital Access. Students will interview people to see how their local environment has changed over time. Then, they will work on a solution. In this teacher-created lesson from the Cooper-Hewitt, Smithsonian Design Museum, middle school students design a campaign to get a recycling message out to the whole school. Use this teacher-created lesson from the Cooper-Hewitt, Smithsonian Design Museum to inspire elementary students to look at the problem of littering around the school. Students will consider ideas for receptacle designs, as well graphic designs to discourage potential litterbugs.